The Star Performing Arts Centre presents an explosive confluence of energy, creativity and vibrancy. It sets the stage for people, art and cultures to constantly converge and fuse, inspiring new ideas and creativity. We believe in the importance of contributing to the society and continually look for new ways to apply our expertise as a venue provider to support institutions pursuing worthy causes in Singapore. Learn more about our corporate social responsibility contributions. 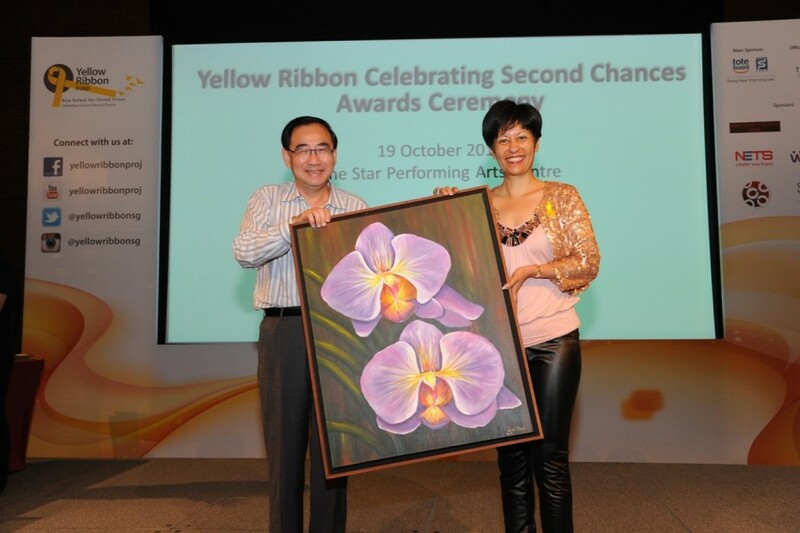 On 19 October 2013, Yellow Ribbon Project (YRP) celebrated 10 years of commitment to second chances. During an inspiring award ceremony at The Star Gallery, reformed offenders and community partners who have made significant contributions to the cause were recognised and honoured. Understanding that the path to reintegration is a difficult one, this award ceremony hopes to encourage reformed offenders to break down barriers of their past and realise their full potential. The Star Performing Arts Centre is proud to be YRP’s venue partner for this meaningful event. We are dedicated to supporting the rehabilitation and reintegration of ex-offenders back into the society. Penny Low, President & Founder of Social Innovation Park graced the event. The Global Social Innovators Forum (GSIF) is an initiative spearheaded by Social Innovation Park Ltd (SIP); a non-profit organisation that supports social entrepreneurs and innovators. Launched in 2006, GSIF serves as a platform for social entrepreneurs and key leaders from the private and public sectors to share their innovative ideas and rich experiences with a global audience, as well as explore how social enterprise and innovation can create income and growth opportunities for all stakeholders. GSIF 2013, themed “Inclusive Innovation: Trusted Leadership, Business & Society”, was held over two days at The Star Gallery from 7 to 8 November 2013. 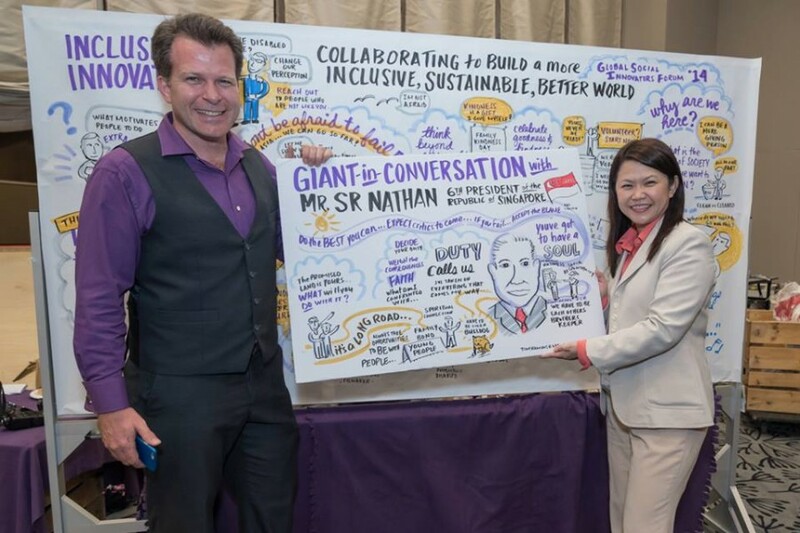 The Star Performing Arts Centre is proud to be the venue partner for this forum, and support a global and regional community of change-makers. Presented by the Marsiling Citizens’ Consultative Committee and supported by the Indonesian Embassy, People’s Association (PA) and Angklung Music Society (Indonesia), “Love across the Oceans” is a bilateral cultural exchange programme between Indonesia and Singapore. Marsiling Chinese Orchestra and Youth Angklung Orchestra Indonesia performed together at the Star Theatre, led by Concert Master, Mr Low Cher Yong during this musical collaboration. The Star Performing Arts Centre is pleased to support this music event that transcends language and cultures. The fight against cancer is a burden no patient should shoulder alone. On 16 January 2015, Singapore Cancer Society held the Hope 50 Concert at The Star Theatre to commemorate 50 years of unwavering commitment to patients and their families. Guest of honour Prime Minister Lee Hsien Loong rallied cancer patients and their loved ones by sharing his personal struggles with cancer. “We all belong to this family – I’m a cancer survivor too. We’re all here, we live on, we fight on together,” he declared. 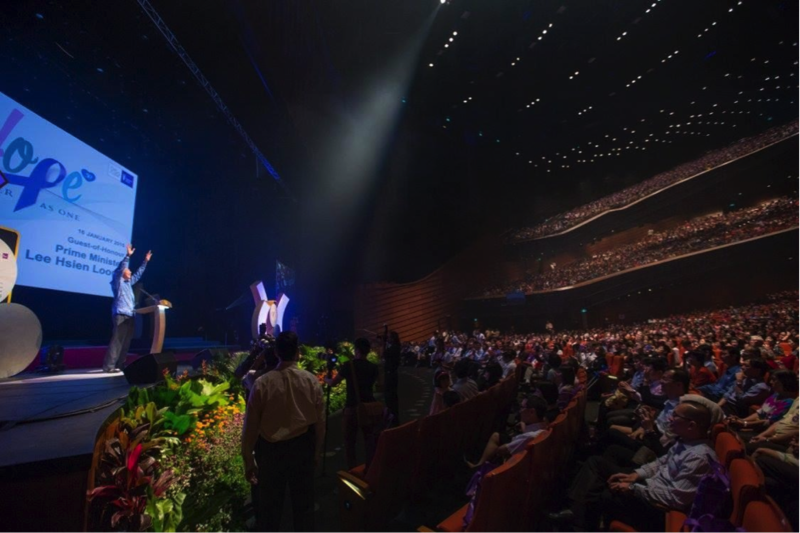 The Star Performing Arts Centre is proud to stand in solidarity with the Singapore Cancer Society and cancer patients as they celebrated this significant milestone. Jointly organised by New Creation Church and Taoist Federation (Singapore), Harmony in Diversity brings together major races and faiths to celebrate Singapore’s religious and racial harmony in the year of our golden jubilee. 250 people from every race and religion worked together to put up a colourful night of exceptional performances on 6 July 2015. 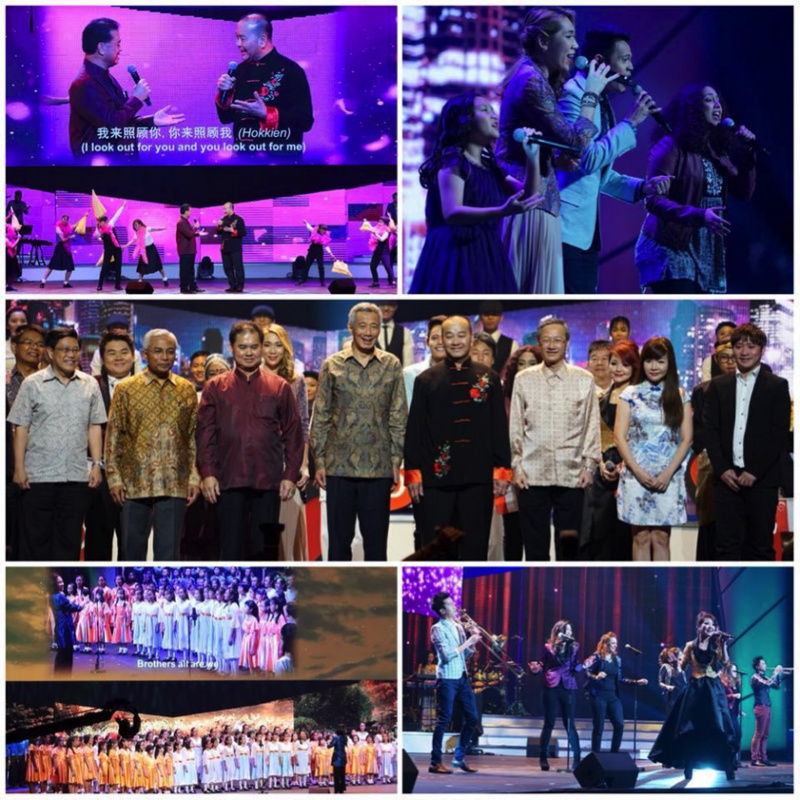 4,000 people enjoyed this free concert at The Star Theatre, including Prime Minister Lee Hsien Loong. The Star Performing Arts Centre is delighted to host this meaningful collaboration and support racial and religious harmony in Singapore.